I love drinks with smoky, woodsy flavors. Rosemary is a good vehicle for this, since the spiky herb is redolent of pine. This drink honors a different evergreen tree: the great Douglas Fir. While you will find a lot of pine trees in the drier central part of Oregon east of the Cascades, in the wetter west part of the state, fir trees rule, particularly Douglas Fir, which is the state tree. We had them in my front and back yards growing up. They smell wonderful. The Clear Creek Distillery in Portland, Oregon makes a variety of eaux de vie (that's the plural of "eu de vie"), a type of clear brandy typically infused with fruit, although as Clear Creek has shown, it can be infused with other flavors too. The distillery's founder, Steve McCarthy, worked 10 years to perfect the Eu de Vie of Douglas Fir used in this drink. It adds a nice subtle note of fir. I considered mixing this cocktail with whiskey, although most of the recipes I found online that used this brandy mixed it with gin. So I compromised with barrel-aged gin, a sort of whiskey-like gin that's brown and aged but not as assertive as whiskey. 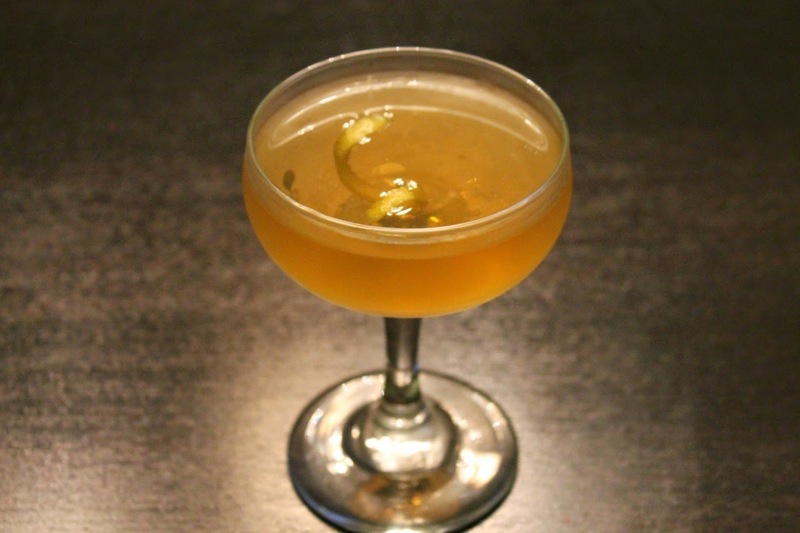 The St. Germain gives the drink a nice touch of citrus and floral. Combine the gin, elderflower liqueur and Eu de Vie of Douglas Fir in a cocktail mixing glass. Fill the glass with ice and stir until chilled. Strain into a chilled coupe and garnish with a lemon twist.